Can I replace decimals with commas? In some currencies commas are used rather than decimals points and Qwilr is here to make sure your currency displays correctly. We'll automatically set your currency to display the correct way for each currency. 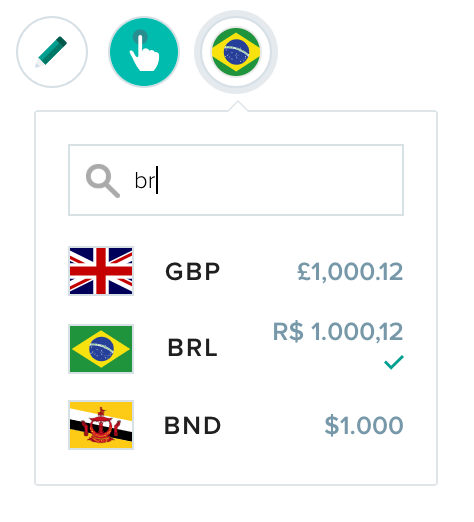 To change your currency edit your quote and click on the flag at the top settings area. From there, select the currency of your choice.